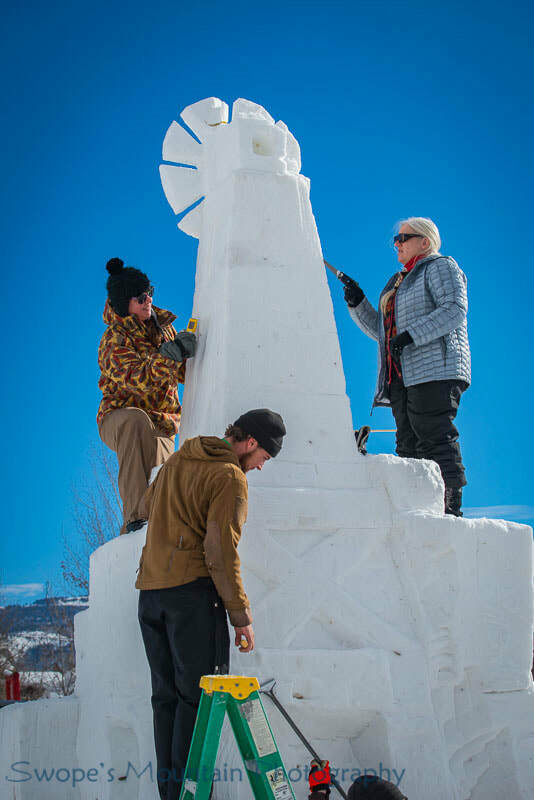 Snow sculpting is a large-scale art form inspired by the Tetons most abundant winter natural resource -SNOW! 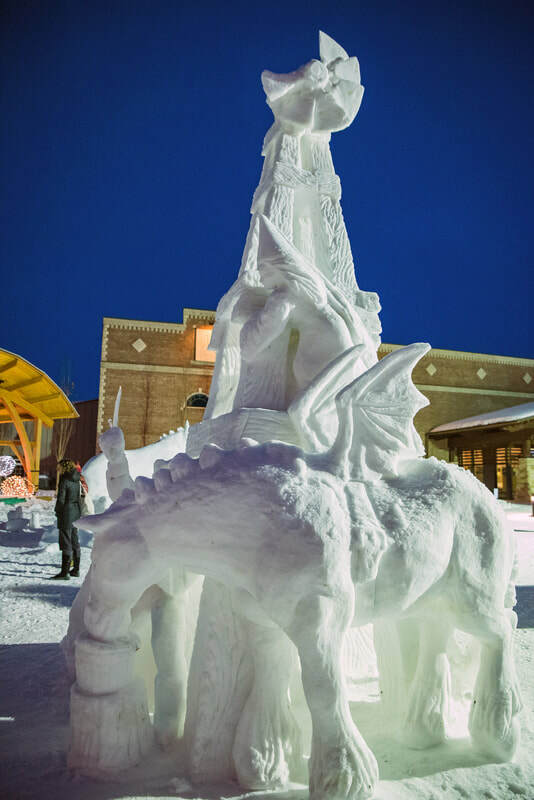 Each January, as many as 10 teams descend on the Driggs City Plaza to sculpt beautiful creations for public display. This is a juried competition that draws teams of beginner to expert snow sculptors from around the region. Prizes are awarded in various categories, with the First Place winners taking home the $1,000 Grand Prize. All activities are free to the public. Many community members and visitors alike volunteer to make this event possible. The 2019 Snowscapes event kicks off with a community Stomping Party on Friday, January 11th. Come help stomp snow to make the large blocks that will be transformed in to art! Following stomping, the artists will get to work from January 15th - 18th during the official sculpting days. It's fun to see the sculptures taking shape over the course of the week. SNOWSCAPES peaks with the official judging and viewing of the finished snow pieces on January 19th. Sculptures will be on display all day for everyone to enjoy AND vote on their favorites for the People's and Kid's Choice Award. Kids activities and vendors join the fun to make this a day not to miss at Driggs City Plaza. 8th Annual Snow Ball on Saturday night, January 19th at 7 pm.